NOW FREE !!!!! ONLY FOR A LIMITED TIME !!! WELCOME TO THE WORLD OF OCEANS !!!!! 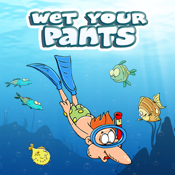 Go deep down under the water to explore the world in a totally different way in this adventure filled game where you will have to shoot the various ocean creatures to survive ! Dont worry we have kept many bonus bubbles for you to go ahead in your adventure !!! Its our guarantee that this game will be loved you and even more by your kids. 4. Various sea creatures to shoot and save yourself from. till you reach the ocean 7 !!!!!!!!!!!!!!! and mind it do not WET YOUR PANTS in doing so !!!! !